Tekkadan is sharpening its teeth. 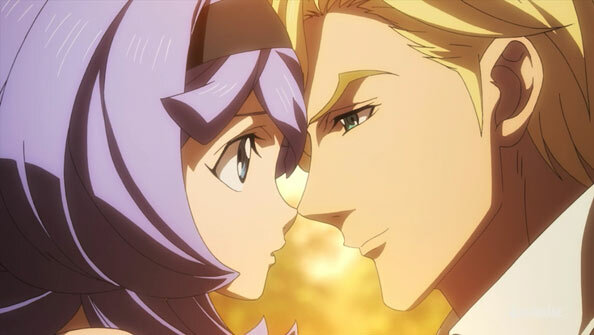 It has to, now that Orga has cast his lot in with McGillis. One can’t be King of Mars without a powerful army, and with Tekkadan booting up their third Gundam frame (Flauros) that army is being made into something that will hopefully make potential rivals think twice about starting anything. Of course, some of those rivals may come from Teiwaz itself. Naze is pilloried by some of his fellow members for letting Orga make a deal with such wide-ranging effects on the entire organization. McMurdo is okay with it…as long as things go well. 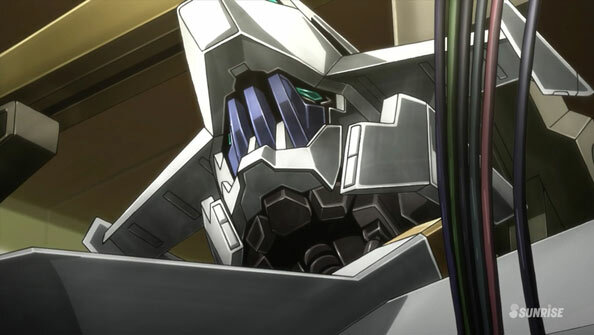 If not, not only will Teiwaz likely dump Tekkadan, but Naze is on record as vouching for them with his very life. Of course, Orga is well aware he may have overstepped his bounds, so when Naze tells him this is the last time he’ll forgive him “with a smile”, he understands perfectly. 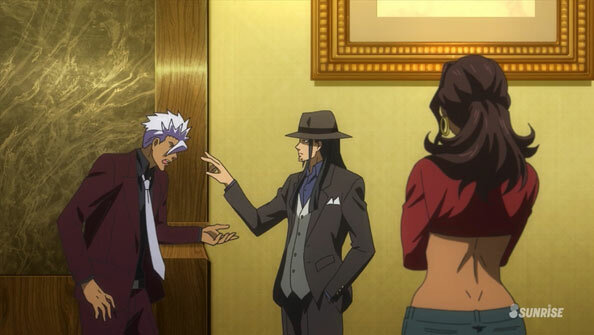 As Orga heads to Ares to start talks with various people McGillis wants him engaged in, Isurugi also impresses upon him the importance of not screwing up, even to the point of bristling at Orga’s worry Macky is “overestimating” Tekkadan. Maybe he is, but Tekkadan has come a long way in a short time, so there’s no reason they can’t keep climbing if they maintain relationships with powerful allies…provided those allies can be trusted. 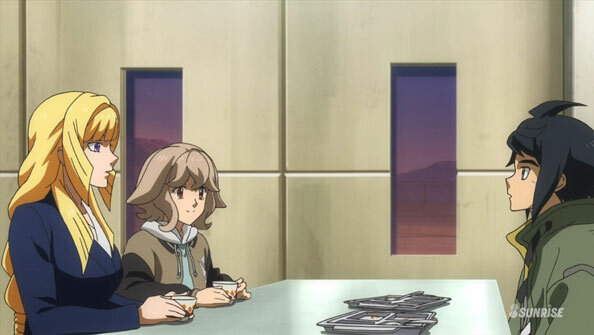 Speaking of allies, we see Kudelia, Atra, and Mika gathered around the same table – a rarity this season. Not much is said, but both girls see that Mika has a new student/servant in Hush, whom Mika finds annoying but isn’t about to cast him away. 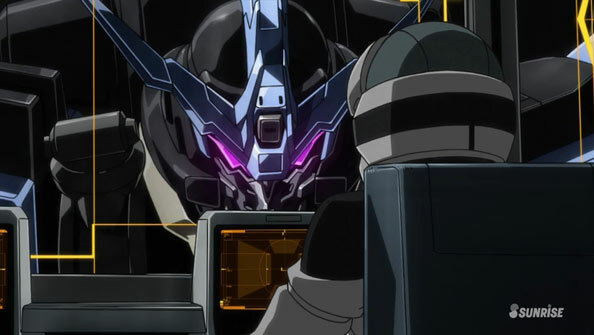 Hush still has a lot to prove to a lot of people – and he certainly doesn’t seem anywhere near ready to pilot that new Gundam – but he’s working hard, and more importantly, no longer has an over-inflated sense of his abilities. Speaking of Gundams, Masky shows Julieta what he can do in Vidar, and even after telling her he fights for revenge, she doesn’t see that in his graceful, beautiful fighting, which he chalks up to having so much fun fighting in the suit that he forgets what he’s fighting for, simply losing himself in combat. Masky certainly shows he’s capable of taking out a good many of Tekkadan’s pilots, though Mika, Akihiro, and obviously McGillis could probably still handle him. I’m sure we’ll find out before long. As for Macky, he keeps reading the book about the founder of Gjallarhorn at his house; the same book that lifted him out of suicidal thoughts, because Agnika Kaieru believed in building a world where anyone, regardless of birth or status, could do great things. Macky gets Almiria on board with his plans by telling her that this is also a world in which she won’t be mocked because she’s such a young fiancee. Masky says he’s consumed by revenge and is committed to erasing his past identity (as Gaelio Bauduin) so I figure he doesn’t care about Almiria anymore. I’m hoping Macky is aware Masky is out there, so that when he inevitably comes at him, he’ll be ready.